Development teams face no barriers in writing code in their preferred language: we support Objective-C, Java, C#, HTML5-Js, Swift. 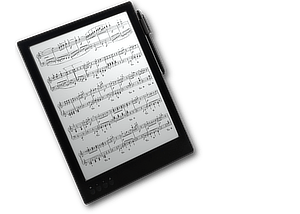 Amazing device with 13.3" e-ink display. We are continuously developing and improving our tools to provide the best support possible for mobile devices. Our core library is optimized to get the best performances from ARM, ARM64, x86, x64, and MIPS microprocessors. Stunning performance, even when opening complex or very large pages. RadaeePDF: the fastest PDF viewer SDK for Android, iOS and Windows platforms. 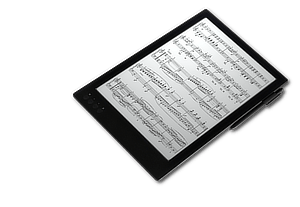 RadaeePDF is a library for developers who want to render, manipulate and annotate PDF files on Android, iOS and Windows 10. RadaeePDF SDK helps you to build better mobile applications. Using our featured PDF reader engine's API and its set of professional features is now a quick and simple procedure. RadaeePDF SDK extends your App's features with stunning PDF capabilities on smartphones, tablets, notebooks, convertibles, desktops. 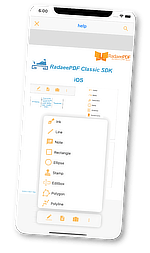 Main RadaeePDF SDK' features: PDF rendering engine for Android iOS Windows 10 operating systems, PDF annotation, PDF creation, PDF multimedia support. RadaeePDF SDK supports also Xamarin and Cordova development targeting Android and iOS. RadaeePDF SDK has been designed to solve most developers' needs with regards to PDF rendering. There are so many functionalities included that it's not possible to list them all outside the technical documentation. Listed below are the main features. Read, view and modify documents in the most widely-used PDF format version. True native code compiled from C++ sources. Annotate PDFs with hyperlinks, text, sketches or insert complex binary objects into your PDFs. Full AES256 cryptography ensures high-level protection for your documents. Search, extract, highlight - some of the most commonly-requested features. Create, write, read acrofields (form fields). "Using your SDK we developed amazing products." - G. Falcone - Electronic Publishing Manager at Wolters Kluwer Italia.